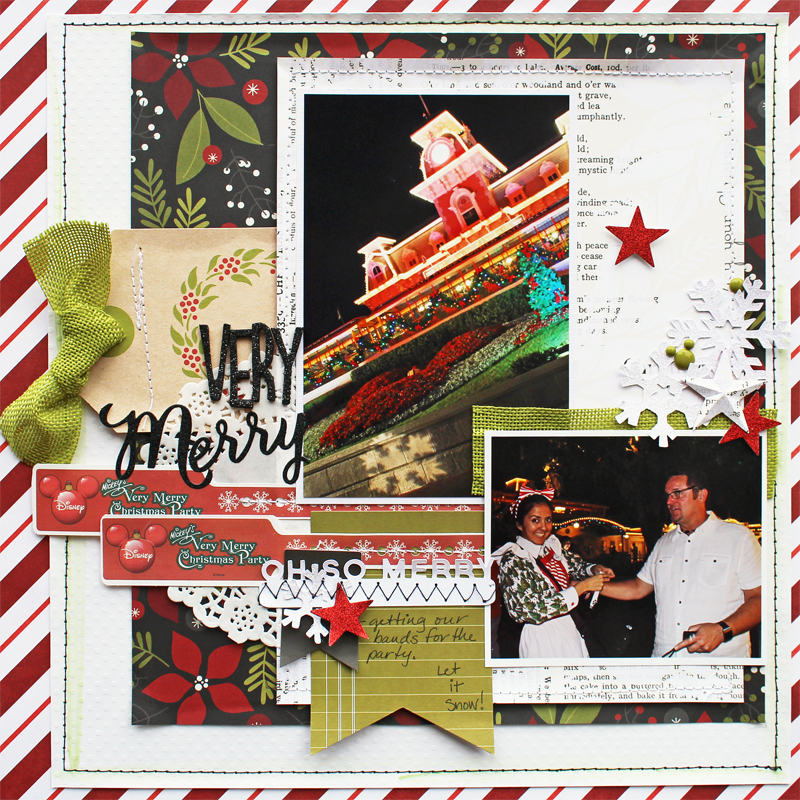 Creatively Savvy: Time to scrap those photos from Christmas! How was your Christmas? I hope you took lots of photos of family, friends, pets, decor.... So now it's time to start scrapping those photos. 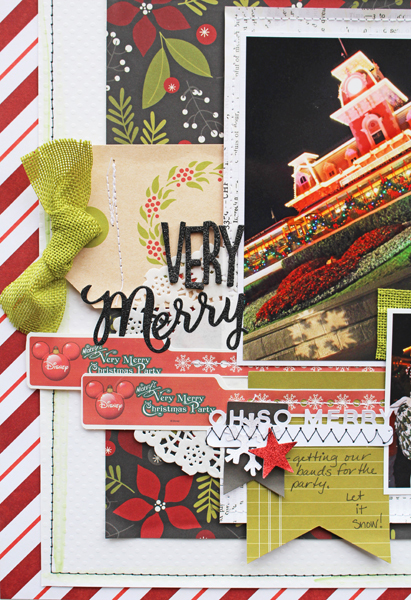 Take a minute to go look at the December Most Wonderful Time of the Year kit, Add on kit, and Stamp Set from Scraptastic Club. So many goodies and just the most perfect colors to coordinate with Christmas reds. That being said, I wanted to scrap some of my Disney holiday photos using the kit too. These are photos as we arrived at Magic Kingdom for the Very Merry Christmas Party. Oh and I even remembered to use our wrist bands on the layout! I always say I will use memorabilia but normally I forget. The "ribbon" is actually the fabric that the roses are made from in the kit. I didn't have a spot for a rose for this page but I loved that green fabric so I took apart one of the roses and used the fabric to tie thru the hole of the tag. 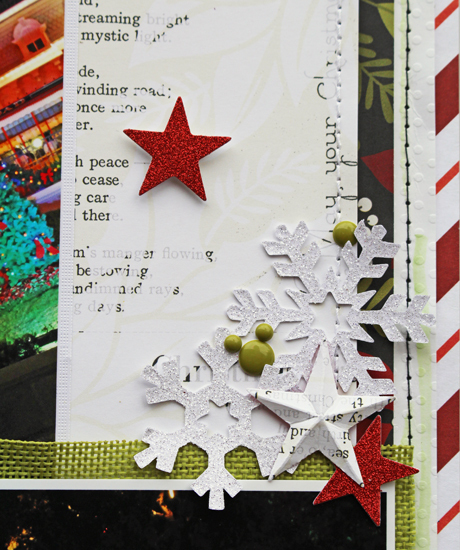 I added some green enamel dots by Simple Stories from the Scraptastic Club Store HERE. What a fantastic page! Your talent for mixing patterns always blows me away! Happy New Year to you, Susan!